Good morning, everyone! The latest fundraising totals are: $52,695 and 223 pounds of food. Thank you so much for your generosity, and if you haven't been able to give yet, it's not too late! Paul Nazareth arrived at 11:30 p.m. last night and was first in line for Sounds of the Season. 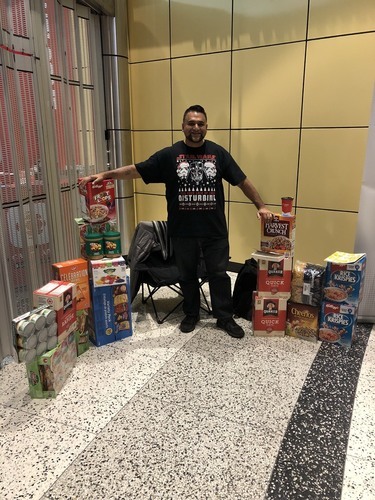 He came with 100 pounds of food to donate! Thanks, Paul! 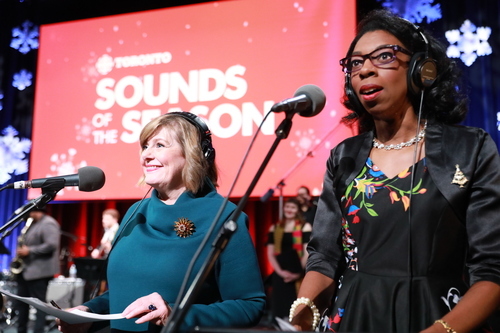 Paul Nazareth tells us why it was the year to "double down" on participating in Sounds of the Season. We've got another update: We're up to $56,170 in donations. Thanks for the support, and keep it coming! And the number keeps climbing! Thanks to a $10,000 donation from the Chicken Farmers of Ontario, we're up to $66,865. Your generosity is amazing, everyone! We are up to $170,387 and an estimated 725 pounds of food. 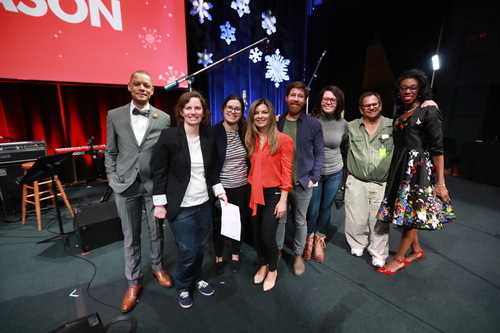 In between amazing musical performances, Metro Morning listeners can still keep up with the latest news and traffic conditions with regular updates from Jill Dempsey and Jennifer Allen. 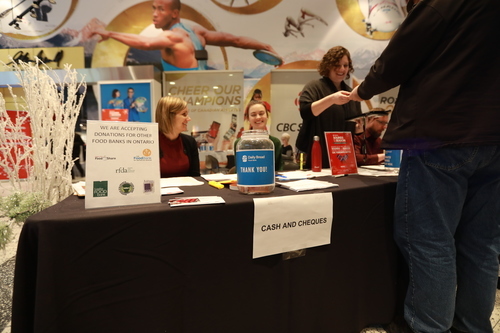 Lots of folks waiting to take your donations here at CBC headquarters! 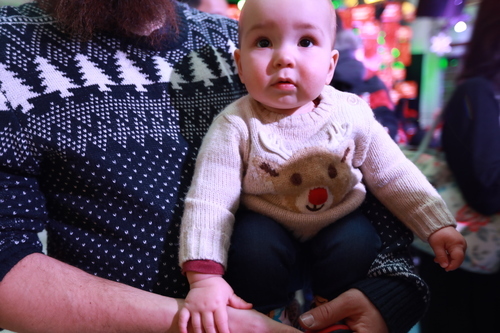 This little cutie pie is in the Christmas spirit! We've had a big spike in donations in the last half hour! We are now at $223,064, helped along by the Toronto Foundation's donation-matching pledge. And that's a wrap from the Metro Morning team!